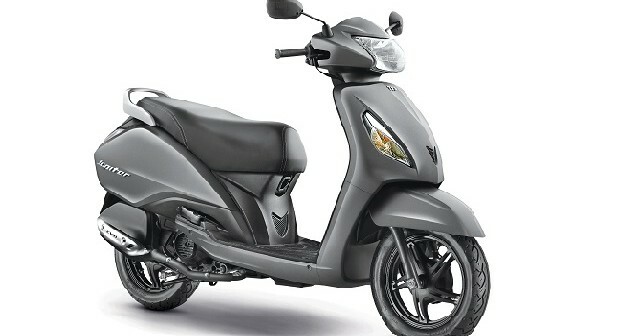 The highly acclaimed TVS Jupiter, after bagging numerous awards last year, became India’s fastest scooter ever to cross the 5,00,000 sales figure. It seems that finally TVS has hit it right with its Jupiter. The scooter which was launched in September 2013 crossed the 5,00,000 mark recently. This feat also makes it the fastest scooter in the Indian market to do so. The TVS Jupiter excels in almost every way a prospective customer would like it to excel. The all-new, light weight, all aluminium, low friction 110cc engine delivers 7.8bhp of power and 8Nm of torque making it the right mix of power, fuel efficiency and performance. Two retractable bag hooks, a 17-litre boot under the seat that can also accommodate a helmet, the fuel filler cap at the rear of the bike, so you don’t need to open the seat every time you have to refuel are some of the key features of this scooter that make it highly desirable.